A few weeks ago, my husband and I went to Texas Roadhouse. As always, I barely had any room for my main meal after gorging on the rolls. As I stuffed my face, I began to wonder if I could make these at home. The next day, my internet search began and I found this recipe all over the internet. Supposedly, according to nearly all the sites, this recipe comes from someone who trains Texan Roadhouse employees to make the rolls. It seems a little far fetched to me, but I decided to give it a whirl using the recipe on this site. I made a couple small modifications to this recipe. First, I cut it in half (I posted the original whole recipe) because I thought that 6 dozen rolls was a bit excessive. I also apparently make very large rolls, because I got about one dozen from the half recipe. Also, the recipe indicated that the milk should first be “scalded” and then cooled to lukewarm. I thought this to be difficult and unnecessary (I even called my Grandma, the baking queen in our family, about this and she agreed) and instead just warmed the milk in the microwave to a lukewarm temperature. 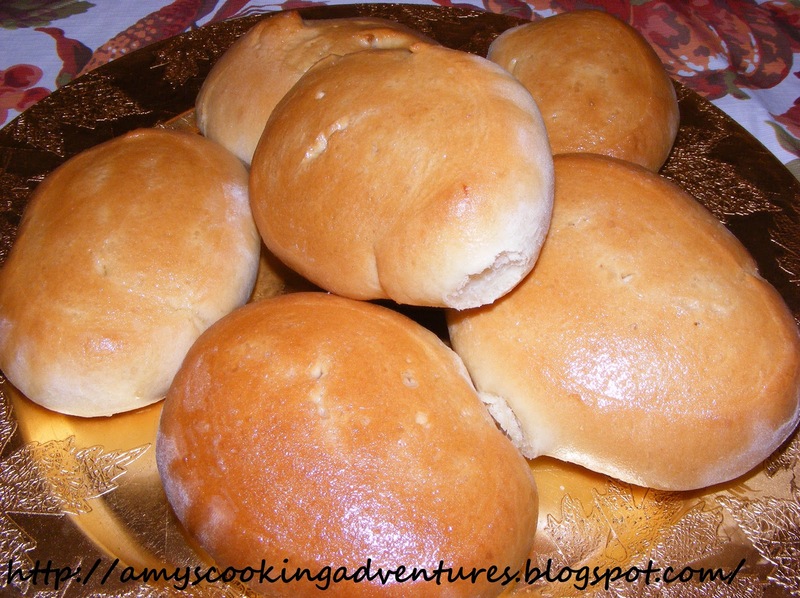 Lastly, I brushed the rolls with salted melted butter right as they came out of the oven. And I must say, though they weren’t as light and airy as Texas Roadhouse rolls, the sure tasted like them! So I was able to stuff myself with deliciousness right at home and have leftovers! Yum! Dissolve yeast in warm water with 1 tsp sugar. Cover with a damp towel until foamy. Warm milk in the microwave, about 90 seconds. Add yeast, sugar and about half of the flour to the warmed milk. Beat thoroughly. Let stand about 5 minutes. Add melted butter (cooled), eggs, and salt. Beat well. Add enough flour to form a soft dough, Sprinkle a small amount of flour on the counter, turn our dough, and let rest. Meanwhile, spray a large bowl with cooking spray. Knead dough incorporating remaining flour (until dough is no longer sticky). Continue kneading until smooth and satiny. Move to greased bowl, turn dough to grease top. Cover with a damp towel and like rise in a warm, dry place until doubled in size, about 1 hour. Punch down, turn onto a floured board. Roll into a log for shaping. Let rest for 10 minutes. 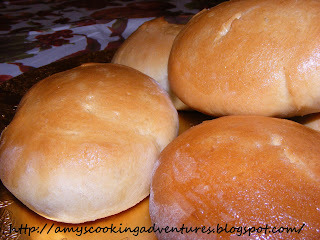 Cut dough log into rolls. Place on greased baking sheets. Cover and let rise until doubled, about 1 hour. Bake at 375 degrees for 10 minutes. Reduce heat to 350 degrees and bake for another 10-15 minutes. Remove from oven, brush rolls with melted butter (I melted about 2 tbsp unsalted butter and added a dash of salt). Serve immediately. Those rolls always seem to be a big hit! I will have to try and make them with GF flour...I just found a wheatless mix that might work well. Neat! You'll have to let me know how it turns out! so to cut the recipe in half, do you 1/2 everything? Yep! Just measure out a generous 1 tsp for the yeast and halve everything else! As written above "And I must say, though they weren’t as light and airy as Texas Roadhouse rolls, the sure tasted like them! "